Applications will be invited by Guru Nanak Dev University, Amritsar for admission in various UG and PG courses under its campus and associated institutes and colleges for the upcoming academic session 2019. Interested and eligible candidates can apply as per given schedule. Candidates are advised to read the official advertisement from the official website before filling the form. 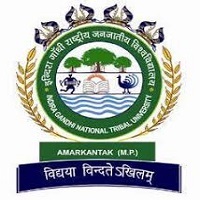 To get all the important information about GNDU Amritsar Admission 2019 like Eligibility Criteria, Important Dates, Application Fee, Exam Pattern, Admit and Result etc read the article below carefully. BTech: Candidate must have done 12th with at least 40% marks in the aggregate or equivalent examination. 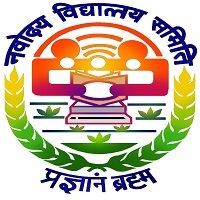 Bachelor of Arts (Pass Course): Candidate must have done the 12th examination of the Punjab School Education Board or any other equivalent examination recognized by this university with obtaining the minimum of 50% marks. Bachelor of Library and Information Science: Candidates should have done B.A. / B.Com/ B.Sc or M.A./ M.Com./ M.Sc with at least 50% marks or equivalent examination. Bachelor of Education (B.Ed. ): Candidates having minimum of 50 % marks in the bachelor’s degree and/ or in the masters degree in the social science/ science/ Humanity/ Bachelors in Engineering or Technology with specialization in Mathematics and Science with minimum of 55% marks or any other qualification equivalent thereto, are eligible to apply for the B.Ed admission. MTech: Candidate must be graduated with scoring minimum 50% marks in aggregate in the concerned subject or equivalent examination. Master of Science: Candidate must have done B.Sc. degree (10+2+3 system) with the related subject as one of the elective subjects with a minimum of 50% marks from GNDU or any other examination recognized equivalent thereto by the University. MA/M.Com: Candidate must hold Bachelor’s Degree in any Faculty with minimum of 50% marks in aggregate or 45% marks in the related subject or equivalent examination. Master of Education (M.Ed. ): Candidates should have obtained a minimum of 50% marks or an equivalent grade in the courses B.Ed., B.El.Ed, B.A.B.Ed, B.Sc.B.Ed., D.El.Ed with an undergraduate degree (with minimum 50% marks in each). MPhil– Punjabi, Sanskrit, Hindi, Religious Studies, Music (Vocal & Inst.). Master’s degree courses– M.Ed (subject to the approval of NCTE)/ M.Tech (Electronics & Comm. Eng.) Specialisation Comm. Systems, Computer Science & Eng., Urban Planning/ M.Arch. 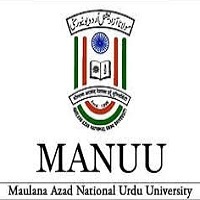 (Urban Design)/ M.Sc (Botany, Biotechnology, Chemistry, Environmental Sciences, Fermentation & Microbial Technology, Food Technology, Human Genetics, Mathematics, Microbiology, Molecular Biology & Biotechnology, Physics, Zoology)/ MBA, MBA (Hospital Administration), MBA (FYIC), MCA (TYC), MCA (FYIC), Masters in Physiotherapy (Sports), Master in Planning (Infrastructure), M.Com, M.Pharmacy, M.Lib & Inf. Science), M.P.Ed, LLM, M.Sc (Hons. School), Economics, MPA (Music Vocal), MPA (Music Instrumental)/ M.A (Business Economics, English, Education, Hindi, History Philosophy, Political Science, Psychology, Punjabi, Religious Studies, Sanskrit, Social Science, Sociology. Bachelor’ degree courses– B.Tech (Computer Science & Eng., Electronics & Comm. Eng., Food Technology, Urban & Regional Planning/ Bachelor of Psychotherapy, B.Pharmacy, Bachelor of Tourism & Travel Mgmt., B.Sc (Hons. School), Chemistry, Human Genetics, Physics, LLB, B.A.LLB (Hons) (FYIC), B.Architecture, B.Lib. & Inf. Science, B.P.Ed, B.Sc (Hons. School), Economics, BA (Hons.) Social Science, BA (Hons. School) Punjabi. Other courses– PG Diploma in Mental Health Counseling, PG Diploma in Translation/ Diploma (Full Time in French, Russian), Diploma (Part Time in French, German, Persian, Russian, Urdu)/ Certificate courses (Part Time in Arabic, French, German, Japanese, Persian, Russian, Urdu)/ Advanced Diploma courses (part Time in French, Persian, Russian, Urdu). M.Tech (Electronics & Comm. Eng. ), Specialisations Comm. Systems, Computer Science & Eng., MA Journalism & Mass Communication, Punjabi, LLM, LLB, B.Tech (Computer Science & Eng. ), Electronics & Comm. Eng, B.A LLB (Hons. FYIC). 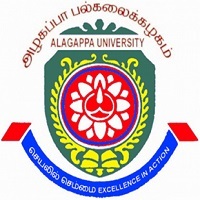 MBA, B.Tech (Computer Science & Eng., Electronics & Comm. Eng., Civil Eng., Mechanical Eng.). MCA (TYC). B.Tech (Computer Science & Eng., Electronics & Comm Eng., MCA (TYC), MCA (FYIC), M.Sc (CS), BCA, B.Com, PGDCA). M.Tech (Electronics & Comm. Eng. ), Specialization Comm. Systems, Computer Science & Eng., MBA, MCA (TYC), B.ALLB (Hons.FYIC), B.Tech (Computer Science & Eng., Electronics & Comm. Eng., Evening Shift Courses), M.Com, B.Com. MBA, MCA (TYC), MBA (FYIC), M.Com, M.Sc (Mathematics), BBA, BCA, B.Com. MBA, MCA (TYC), M.Sc (IT), M.Com, M.A (Eco. & Pbi. ), B.A, B.Sc, BCA, B.Com, BBA. The GNDU Applications can be filled online for various UG and PG Courses from the official website www.gndu.ac.in or www.gnduadmissions.org. Before filling the application form, candidates must have to read the instruction carefully. The online application form will be issued from the website. The application fee will be Rs. 1200/- for General Category. The application fee will be Rs. 600/- for SC / ST Category. The one-time counselling fee will be Rs. 2000/- for B.Tech courses (except B.Tech URP). The application fee is to be deposited at any branch of State Bank of India. After depositing the money in the bank, the bank will issue a unique Journal ID. Two recent passport size photographs duly attested by the Principal of the College/School last attended/gazetted officer. Photographs must be pasted on the Form with glue (Please do not use staple pins).